Autodesk PowerInspect offers a powerful solution for inspection, validation and quality control for all types of measurement equipment. Measurement can be taken for granted but it is of critical importance to manufacturing, in all sectors, including automotive, aerospace and maritime. No matter what the size, shape or industry you operate, each has a commitment to its team and its customers to ensure the highest levels of quality always. An intuitive user-interface and short learning curve make PowerInspect a powerful inspection solution. Maximize machine utilization with graphical offline programming and minimize demands on operators. Automated CAD inspection strategies help you create accurate surface and section inspection routines with optimized point distribution. Automatic collision avoidance gives you confidence that inspection sequences run safely before they are run on the machine. PowerInspect helps you create attractive reports that are easy to understand. 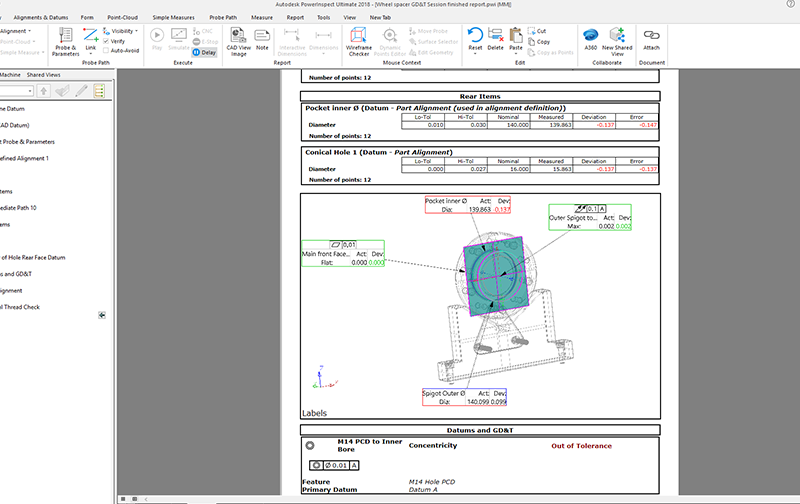 Graphical labels and dimensions simplify visualization and the CAD View report feature allows you to place images from the CAD view anywhere in the report. PowerInspect provides a permanent record of inspection results as required – ranging from a single page graphical summary, to a detailed report with text, tables, and images – in seconds. Use shared views to collaborate on a visual representation of your engineering measurement data online. For example, create a shared view for a customer to request approval or to provide easy access to your engineers for on-site calibration. Using a link or QR code you provide, anyone can view, and comment on, the shared view from any browser and device. You view and reply to comments and manage your shared view directly from PowerInspect. PowerInspect is the complete inspection solution for measuring parts while they are still on the machine, also known as ‘On Machine Verification’ (OMV). Machine tool probing allows you to make informed scrap or rework decisions quickly. PowerInspect also improves the accuracy of machining operations by aligning the machining coordinate system to the measured position of the workpiece. 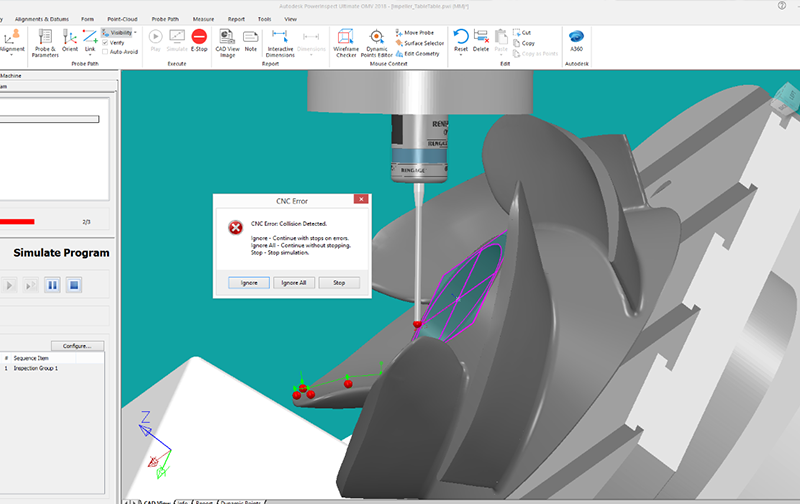 Optimize part setup for complex freeform shapes. 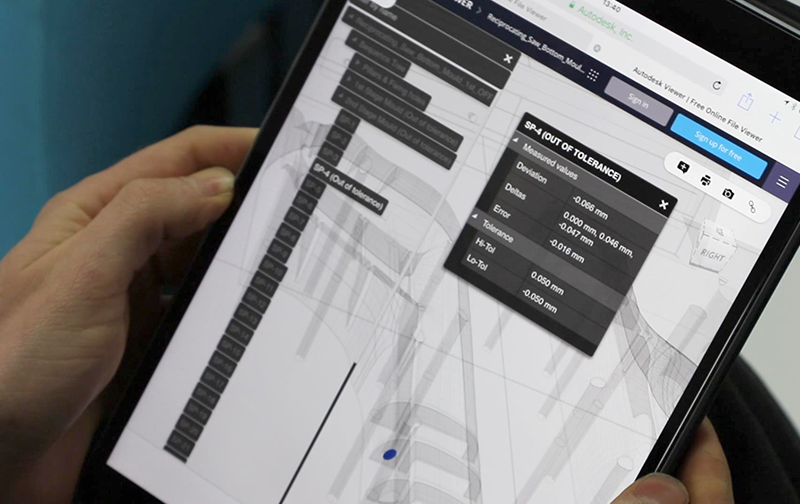 Simplify inspections and guide manual operators through the inspection process with visual and audible aids. Embedded probing strategies in PowerInspect promote consistent application of best practice techniques. 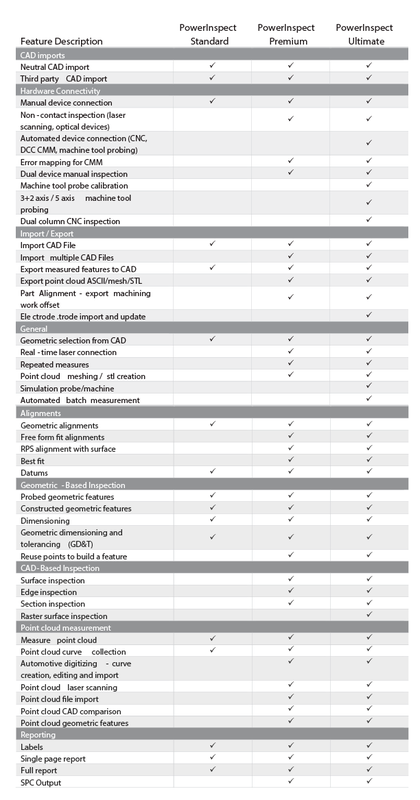 Enhance the accuracy and precision of automated measuring equipment. 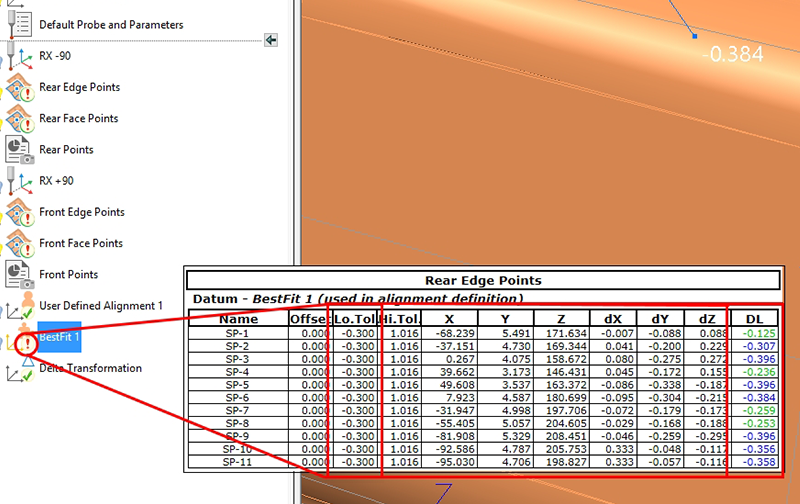 Local ‘best fits’ allow you to increase inspection accuracy on flexible parts and assemblies. Carry out measurements consistently without the need for expensive fixturing systems. Our main target was to have one established inspection software on all our different hardware platforms.